MK Amir Peretz and former minister Avi Gabai to face off in second round of Labor primaries. Labor party leader Yitzhak Herzog was ousted from his position as head of the party in the primaries which took place Tuesday. MK Amir Peretz and former minister Avi Gabai received more votes than Herzog and will compete in a second round of voting to take place next week. 59 percent of the 52,000 party members participated in the voting which took place in 80 polling stations throughout the country. The highest number of votes was received by Peretz, who had previously served as Labor chairman and defense minister. Peretz received 10,141 votes, or 32.7 percent. Gabai received 8,395 votes, which is 27% of the voters. Herzog suffered a severe blow when he received only 5,204 votes (16.7 percent). MK Erel Margalit received 4,697 votes (16.1 percent), while MK Omer Bar-Lev received 2,147 votes (6.9 percent). Herzog said after the results were published, "Members of the Labor party have said their part. I respect their decision. I congratulate Amir Peretz and Avi Gabai who made the second round and wish both of them success. In the coming days I will consult with my friends and colleagues within the big camp I have in the Labor party regarding my support in the second round." "I am grateful to all the friends who came along with me on this amazing journey. I regret the result on a personal, political and ideological level . I had the pleasure of working with outstanding friends. I will never forget what you did for me,” he added. Peretz commented on the results and said, "I am proud of the tens of thousands of members who took part in the Labor party's celebration of democracy. I am grateful for their trust in my path and for the great support that I received throughout the elections and which led me to the first place in the elections." "I would like to thank my friend Yitzhak Herzog for four years of service as chairman of the party and for the great achievement in the last Knesset elections. 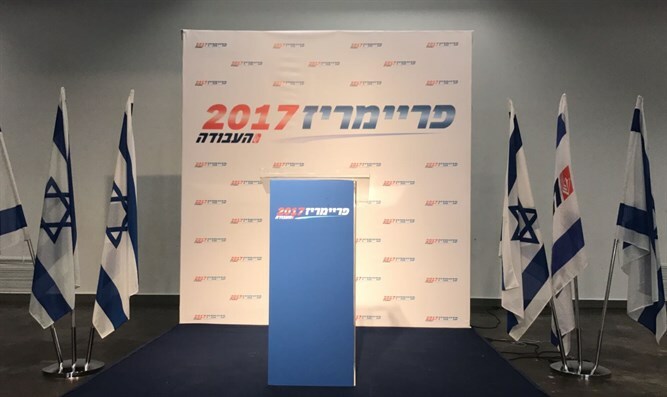 I would like to express my appreciation to all the candidates for a practical campaign that helped to present to the public a vibrant party," Peretz added. "I am proud of my achievement and am convinced that I will win the second round, at the end of which I will begin the campaign to replace the Netanyahu government," concluded Peretz.